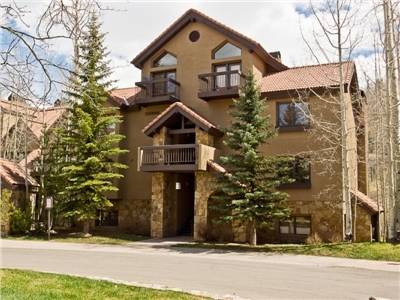 Kayenta II is a true ski in/out condominium complex located in the Mountain Village core. The Village Bypass Lift, Lift #4, and the Gondola are just steps away from this complex. Several shops and restaurants can also be found nearby. 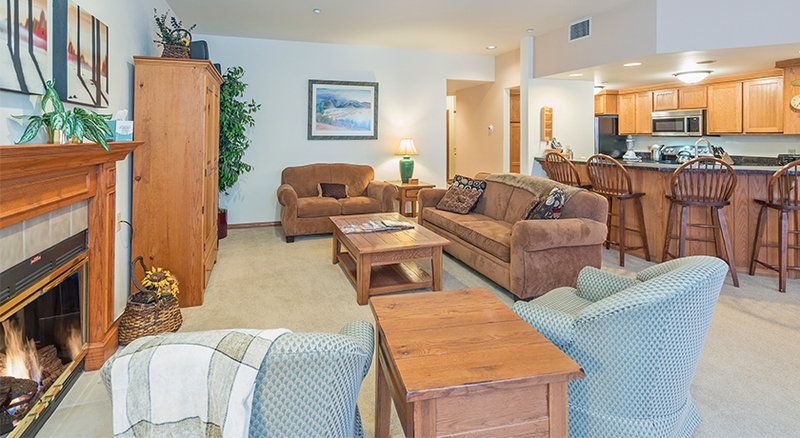 Complex amenities include a common hot tub, ski in/out access, and some units have off-site parking. 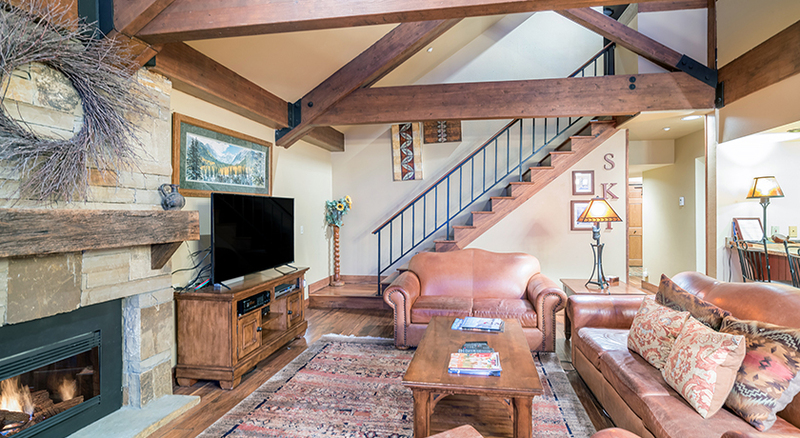 Kayenta II is located ski-in/out at the perfect location in the Mountain Village core. 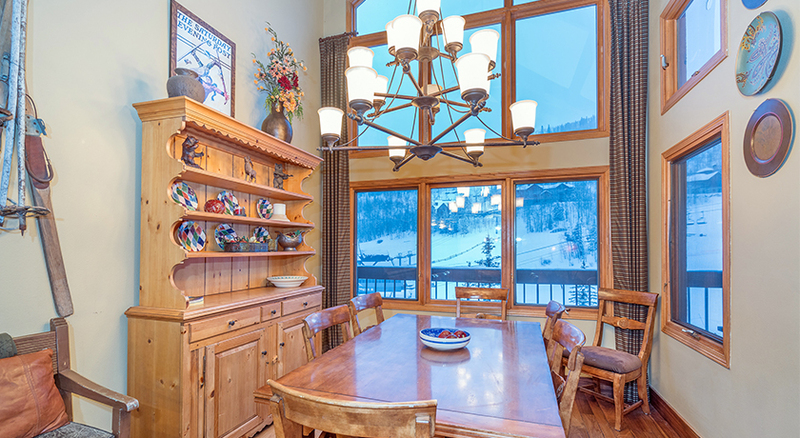 Just steps from the gondola, ski school, shops, and restaurants. This condo is located on the ground floor (down 1/2 flight of stairs) and there is one level to the condo. You enter the condo into the foyer. Down the hall to your left are the living room, dining room and kitchen. 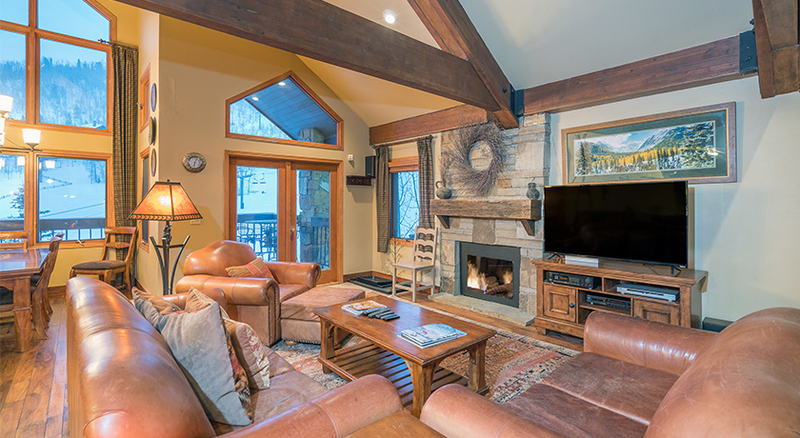 The living room has a gas fireplace, 40 inch flat screen TV and spectacular views of the ski area base. Right off the living room is a deck which faces the lift 4 base area and Mountain Village Core. The kitchen has stainless steel appliances, granite countertops, and the washer/dryer. The dining room area has seating for 6 people. From the foyer to your right is the first bedroom with a king bed (can be two twins) and a 18 inch flat screen TV. 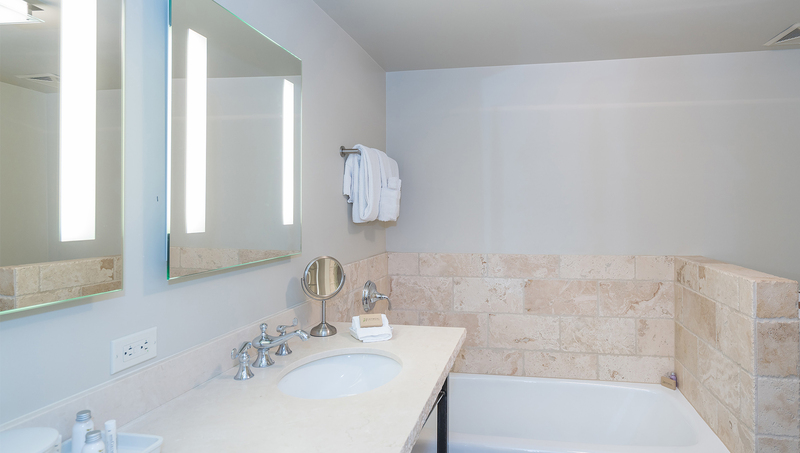 Attached is a bathroom with a steam shower that can also be accessed from the hall. At the end of the hallway is the master bedroom which has a king bed, 40 inch flat screen TV and private bathroom with a shower/tub combo. 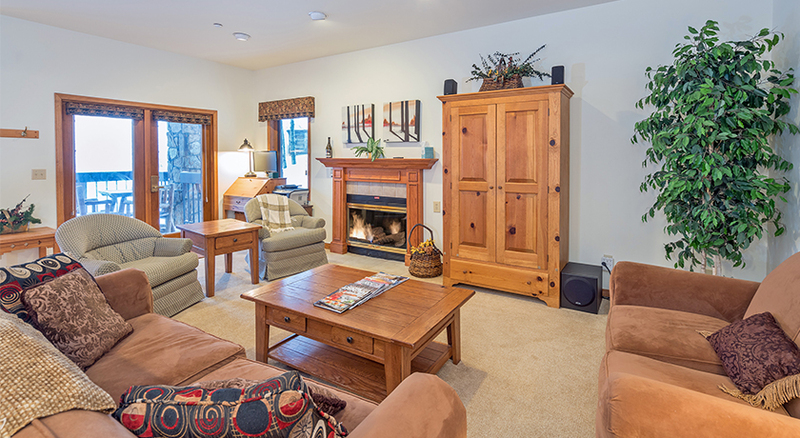 Complex amenities include a ski locker and common outdoor hot tub. Parking is available in the Blue Mesa garage, spot #11. Additional parking is available at the intercept lot for $25.00 per night. Bedding: King bed, King bed, Double and a Twin bunk bed, Twin day bed. 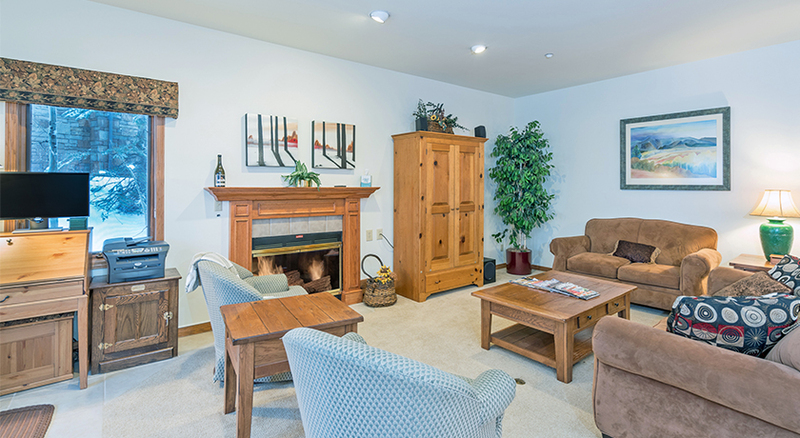 Walk into the condo on the top (3rd) floor and enter into a small mud room with hardwood floors and ski storage. To the right are two bedrooms. The first bedroom has a king bed, 20 inch flat screen TV and a private bathroom with a jetted shower/tub combo. 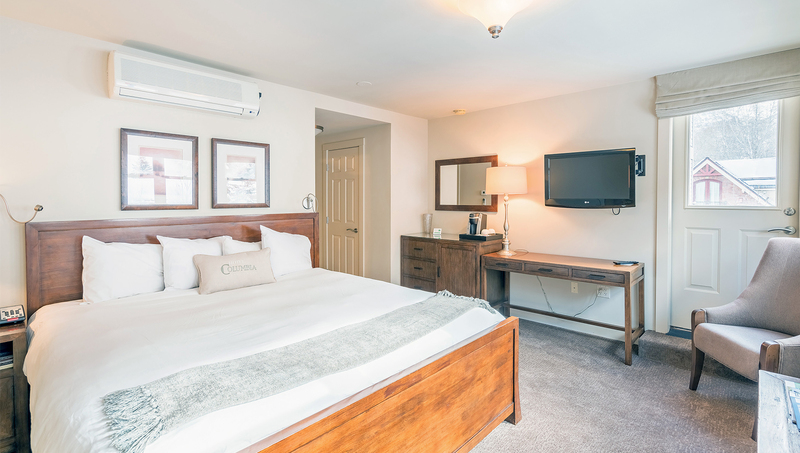 The second bedroom has a double bed and a twin bunk bed, as well as a private bath with a steam shower that can be accessed from the hallway. The full kitchen and living room are located down the hall from the bedrooms. The kitchen has stainless steel appliances, granite countertops, 4 bar stools at the counter, and the washer/dryer. The living room has a 42 inch flat screen TV, DVD/CD players and a table with seating for 6 people. The fireplace in the living room does not work per owner request. 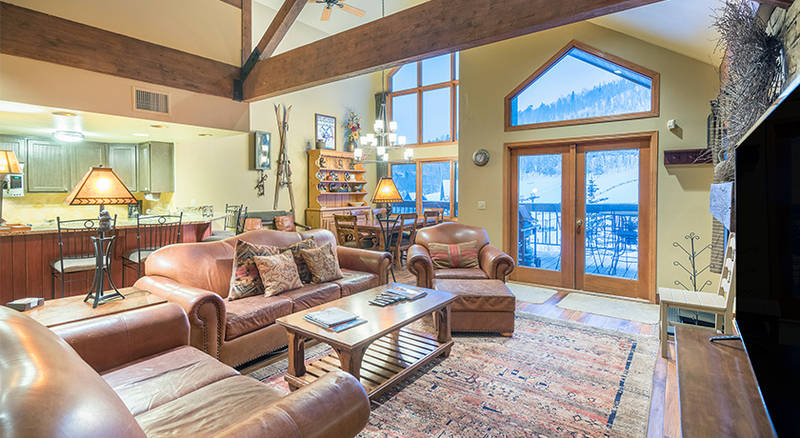 There is also a shared deck by the living room with a BBQ grill and great views of Mountain Village and lift 4. Upstairs is the master bedroom with a king bed, 20 inch flat screen TV, private balcony with views to the West and a private bath with a jetted shower/tub combo. There is also a small loft open to the living room with a twin day bed and small 13 inch TV. 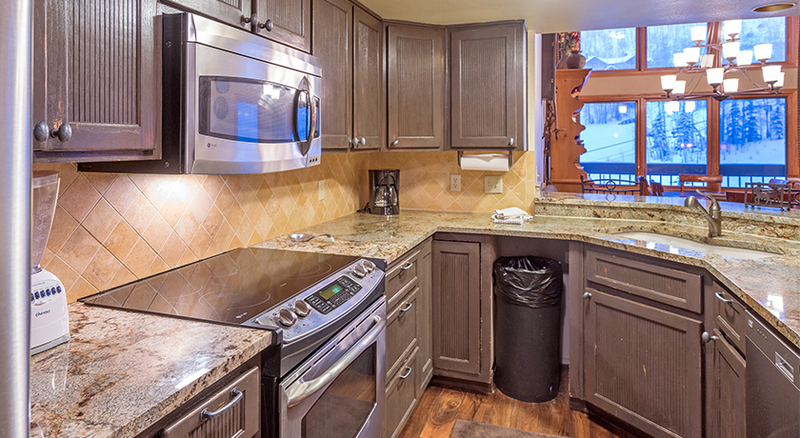 Kayenta II has a common outdoor hot tub overlooking the ski slopes by lift 4 and a private ski locker for each condo. 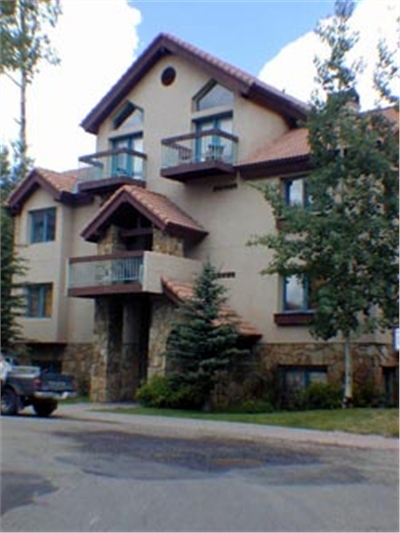 It is located at prime ski-in/out access to lift 4 in the Mountain Village core, just steps from ski school, restaurants and the gondola station. This condo has a designated parking spot for 1 vehicle in the building next door, Dakota Place. It is the first parking space on the right. Additional parking is available at the intercept lot for $25.00 per night.